Warning you guys: we are slowly getting obsessed with felt trees. 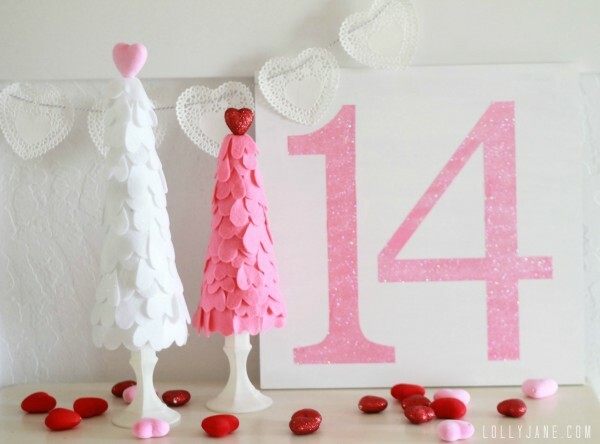 After displaying Kelli’s felt scalloped Christmas trees last season, we turned the heart upside down to copy the look but it puts a sweet twist on the original project. Love that it didn’t take much thought but turned out oh-so-cute! 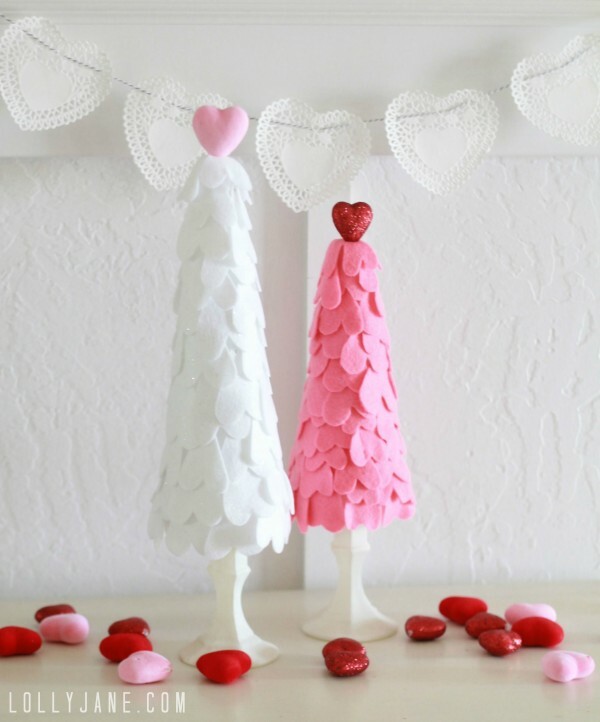 Introducing our felt heart Valentine trees! 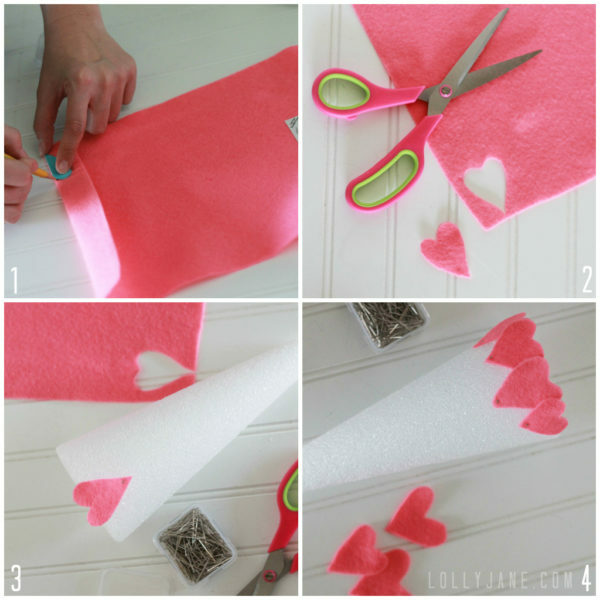 If you want to make your own felt heart Valentine trees, follow along! Clearly you can see we swapped our original idea of curtain rod finials for sweet $1 store velvet hearts to use as a topper. Cuuuuuter, right? 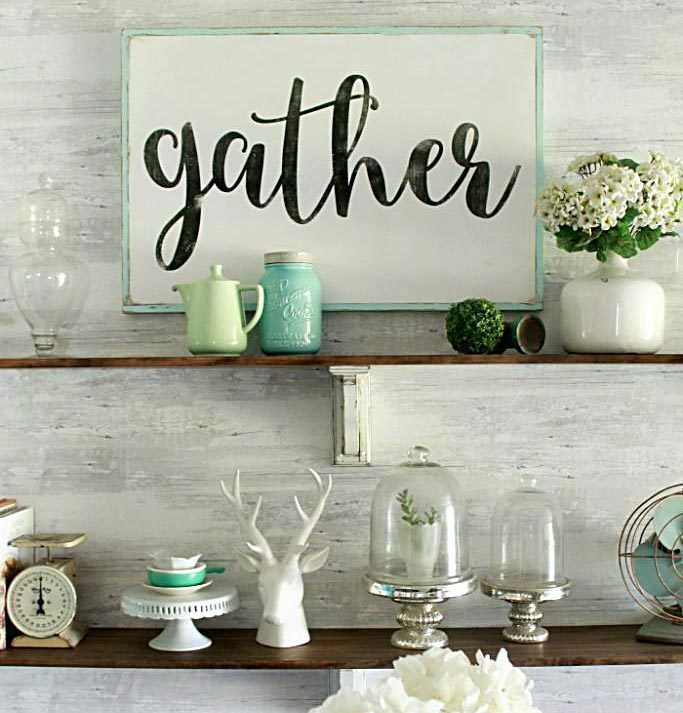 😉 Be creative and use something fun to polish off this cute project! Oh, and we added painted $1 store candlesticks to display these lovely little trees on. Cheap cheap! Steps 1-2: We originally cut out a heart in card stock to use as a template to trace but realized a) it’s time consuming and b) pencil doesn’t write well on felt sooooo we scrapped that idea and just cut 2″ strips of felt, folded them in half and cut out a heart shape free hand. You can see the hearts are about the same size-ish but all different. Just like us! LOL Step 3: Pin heart upside down onto cone, starting from the bottom up to create a layering effect. You can see a similar tutorial for our Christmas felt trees here. Step 4: Continue pinning onto cone until all gaps of cone are covered. Easy peasy! Take a looksie at them displayed in Kelli’s foyer paired with her doily heart bakers twine bunting and Valentine’s Day glitter sign. Adorbs! Wish you could spy the glittery detail in the white hearts- they are so pretty, especially paired with the pink velvet heart. Swoon! Gotta love our local dollar store that sells these cute hearts on sticks. Simply remove the stick for insta-Valentine filler! These trees are so sweet! My girls would love to make these! Oh sheesh, these are just adorable! Gonna have to add them to my list of to-do Valentine projects. You girls are so talented! Could these be any sweeter? Just love them! These are so cute! 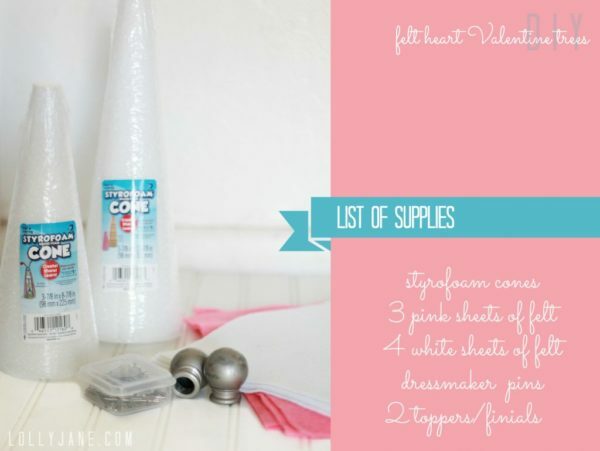 My husband and I are hosting a Valentine’s Banquet for the senior adults at our church so I am looking for easy decor – might have to do this!! Thanks for sharing!! Pinning! Oh wow, these are absolutely adorable! What a great idea for the holiday. I want like 5 of them in my house 🙂 Great job! These are so super cute!! I love them! The trees are super adorable! I like the toppers. So cute–0I want to make some with cream colored wool I have. Thanks for sharing! So stinkin’ darling! I’d love for you to come link these up this week! I just came over from the makeover giveaway. I love this idea! I can totally see a way to adapt it for my kids with foam stickers. Pinning! Super cute! I am featuring these at somedaycrafts.blogspot.com. These are so cute. I love these little heart trees. 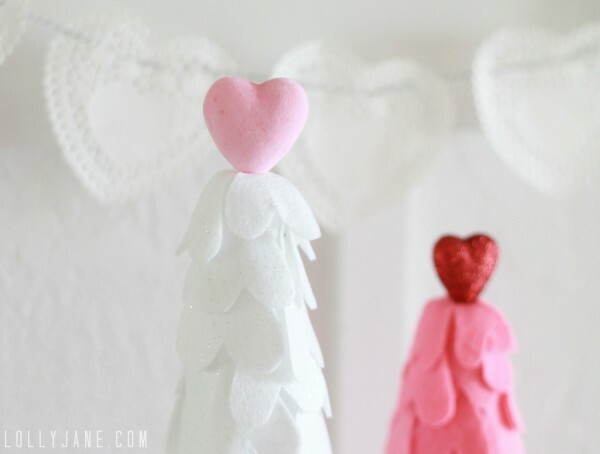 These are so cute, I love the layered look of the hearts and the heart toppers are the perfect touch! Cute, cute, cute!! (Just like you and your hubby?!? 🙂 Love the ditch the plan and go free-hand. They turned out fabulous! I love these and will be making. If I forgot to let you know the 14 canvas is awesome. Very pretty. These are too cute! 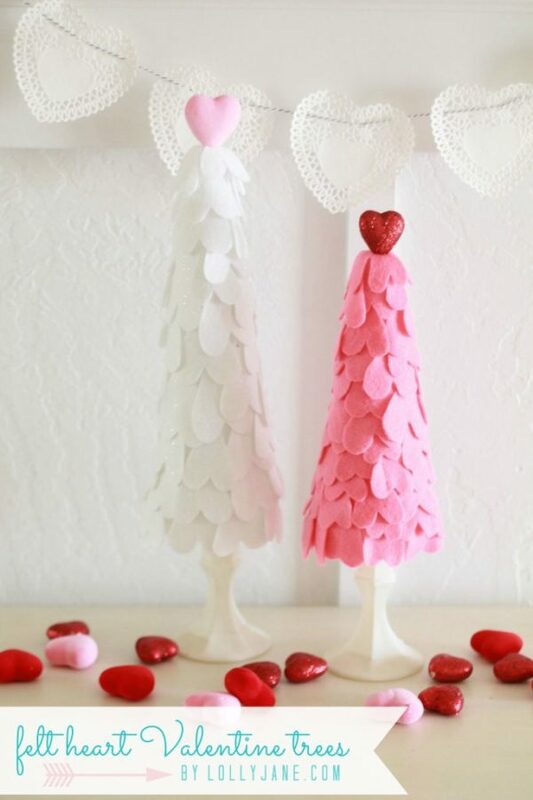 After making felt trees for Christmas, I can’t wait to make these! I’m still searching for the candlesticks but will start the trees today! Thank you for the adorable idea! Thanks Amy! The dollar store has them in stock almost always or Walmart carries a cheap version too (; Good luck! Wow! 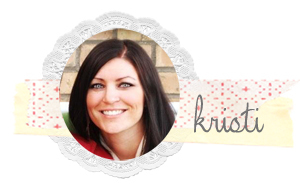 I just found your blog Kristi and I love your ideas 🙂 Those trees are beyond cute! What kind if paint did you use on the candle stick holders?? The ones I purchased at the dollar store are glass and I’m not sure what kind of paint is best to use!! Can’t wait to get started on these! These are so fun! Getting together with my sisters and mom to make them today! How tall is the tall tree? Last year, I made 3 of them in light pink, white, & hot pink. This year, I am making a tall teal tree and a deep gray tree to match my doctor’s office. I am recovering from a major surgery, but I’m able to sit and cut out felt hearts. I bought my candlesticks from Hobby Lobby and chose not to paint them. These trees are so pretty! So glad you like them! Your combo sounds lovely, thanks for sharing!